How to Get Amazon Prime - Is It Worth It? 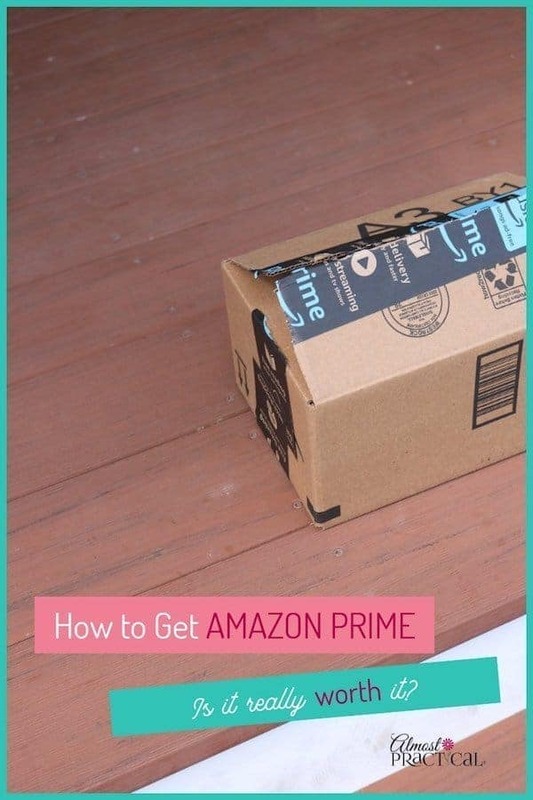 How to Get Amazon Prime – Is It Worth It? Wondering how to get Amazon Prime – or maybe if it is really worth it? Personally, I think it more than pays for itself and I will tell you why. But first, if you are running short on time – I'll jump to the chase and tell you how. Simply click the link below to get your free 30-day Amazon Prime Free Trial. Now let's jump into the details. Once upon a time, Amazon Prime was all about free 2-day shipping. But today, it has become a whole suite of services from music to movies to photo storage and everything in between. Your Amazon Prime membership gives you access to an awful lot of good stuff. Since it all started with shipping – this seems like a good place to start. One major benefit of Amazon Prime is Prime Delivery. All Prime members enjoy fast, free, 2 day shipping on their Amazon Prime eligible orders with no minimum order amount. It's crazy how many options there are! Your Amazon Prime membership makes it really easy for you to get your orders in a safe and secure manner. Amazon Prime Video is another great benefit that comes with your Amazon Prime membership. There are many movies and Amazon originals that you can watch for free. And if the title that you are looking for is not available for free then you can rent it for 48 hours for a small fee. I prefer this over other video membership services because it is all in one place. When you look up the title, the service tells you if it is available on Prime or if it is available for rent. Just a caveat – sometimes what you are looking for is only available for purchase or not at all. But the free and rental libraries are huge. I have an Amazon Echo Show on my kitchen counter. When I cook, I'll often ask Alexa to play a comedy movie. “She” picks one randomly from Prime Videos and starts streaming. It's a great way to catch a movie that you might have missed. Your Amazon Prime membership also includes something called Prime Music. Prime Music allows you to stream over 2 million songs to your Amazon devices – and it's included. What is a little bit confusing is that there is another product called Amazon Music Unlimited – which is not included with your membership. This article explains the differences. The main thing to note that on it's own, Prime Music is a pretty robust feature. If you have Amazon Echo devices – then an Amazon Prime membership makes a lot of sense because you can then ask Alexa to play from the Prime Music library. So, since I am not a gamer – I can't tell you too much about Twitch Prime – which also happens to be included in your Prime Membership. You get free game loot. But beyond that I can't tell you too much. Audible Channels are also included in a Prime Membership. These aren't full audiobooks from Audible – that is a separate membership. What they are are short story and series type bits. Amazon Prime Members also enjoy exclusive shopping deals. If you've ever been on Amazon.com on Black Friday you will see the “lightning deals” become available to Prime members first. And who can forget about Amazon Prime Day – for members only! These are just a few examples of the shopping benefits. Yet another benefit is Prime Reading. Choose from many books, magazines, and more that you can read for free with your membership. There is a reason why I love writing articles about Amazon Prime – I actually learn about benefits that I have that I don't even know about. Once such feature is Amazon First Reads. Apparently, Prime members get to download one of six editor's picks every month for FREE – before the official publication date. With your membership, you are also eligible to sign up for the Amazon Prime Rewards credit card which will earn you up to 5 percent back on your qualifying purchases. Another feature I like is that you get 5GB of free photo storage with your Amazon Prime membership. This is not the primary place that I store photos but it is really convenient – especially if you have an Amazon Echo Show or a Fire Tablet. You can easily show off your latest family photos. Prime Pantry is another benefit to Prime Members. It is something I have been meaning to take advantage of – although it does carry another monthly fee. Basically, you can order pantry type staples in regular sizes (not bulk) and Amazon ships your box directly to you. As a Prime member AND a Prime Pantry member – if your order total exceeds the given threshold then shipping is free. Otherwise you pay a low flat fee. It certainly is worth comparing prices to your local grocery store to see if it makes sense for you. There is also a 30-day free trial. So, let's circle back to how to get Amazon Prime. The best way is to take advantage of the 30-day FREE trial offer. Test it out – see if you use it and like it. You can compare all the different plans and prices here. And if you happen to be a student – you can get 50 percent off your Prime membership here. This article explains all about the Amazon Prime Student membership (it makes a great graduation gift, too! ).